The bungalows (100 m²) are facing the beach of Arandis and have every comfort: king size bed, flat screen 32 'TV with over 100 channels, split air-conditioning, minibar, safe, wi- fi, iPod dock, reading light, giant and fluffy towels, bathrobes, slippers and Egyptian cotton sheets of Trouseau brand, pillows and duvet. 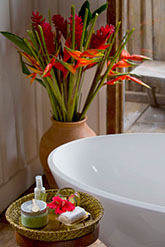 The bathroom/dressing room is distinguished by volcanic rock bath 'limestone' in Italian design, facing glass picture window overlooking the sunset. On the back porch, outdoor shower and private area to enjoy a sun bath. 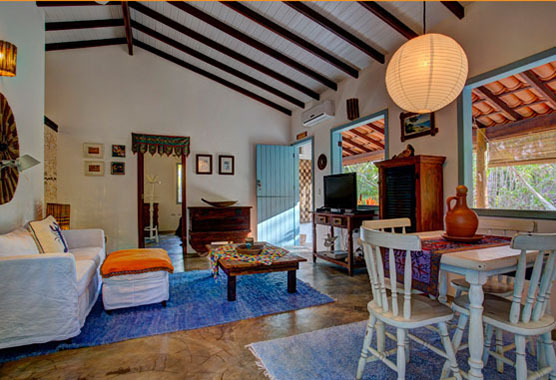 Consisting of two suites, living room, balcony and kitchen, the House Garden is perfect for who wants to take the family and enjoy the services of the hotel, or 2 couples. Equipped with flat 32 'screen TV with over 100 channels, wifi , split air conditioning, stove, refrigerator, microwave, electric household, crockery, utensils and washing machine. 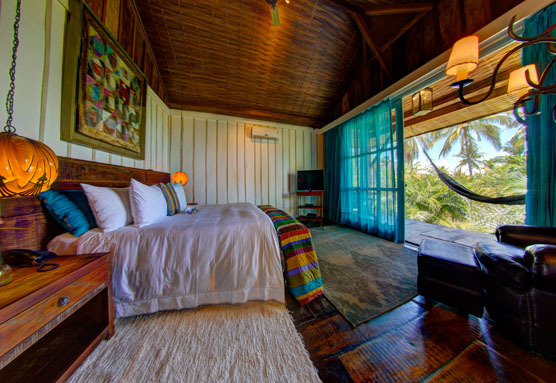 The rooms have air conditioning, a double bed and two single reversible for couples. living area with garden table and chairs and ombrelone, sunbeds and big shower. 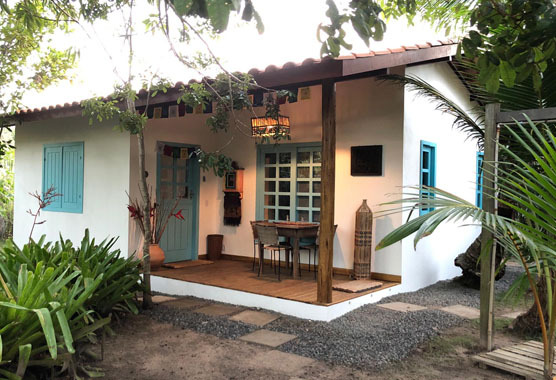 The Bromeliad's House is a cozy space inside the Casa dos Arandis complex made for up to two people who want to enjoy the style of a fisherman's house, facing a beautiful, landscaped garden with a large shower in the outdoor area. Its cozy space with bay windows / screen, cement floor and all decorated is made up of: a balcony with table, chairs and hammock; living room with 42' TV with Sky channels, wifi, air conditioning and fully equipped American kitchen; a complete suite for a double bed or two single beds, air conditioning and cabinets.